The JBL EON610 self-powered PA speaker uses advanced technology to provide you with extraordinary quality in a portable package, almost like it was sent from the future. JBL's innovative waveguide technology and the latest developments in cabinet materials, acoustic science, and transducer design ensure that you'll get studio-monitor-quality sound out of the EON610, perfect for nearly any live application. The EON610's onboard EQ parameters can even be controlled via Bluetooth for convenient command of this innovative self-powered PA speaker's silky highs and chest-thumping lows. 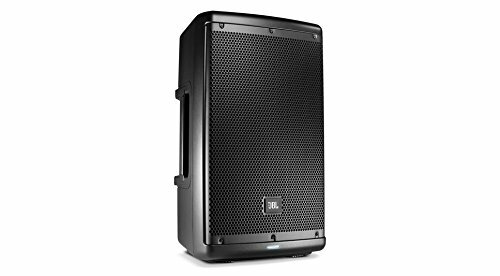 Great-sounding and user-friendly, the JBL EON610 self-powered PA speaker delivers!